All Forest Hill homes currently listed for sale in Forest Hill as of 04/23/2019 are shown below. You can change the search criteria at any time by pressing the 'Change Search' button below. If you have any questions or you would like more information about any Forest Hill homes for sale or other Forest Hill real estate, please contact us and one of our knowledgeable Forest Hill REALTORS® would be pleased to assist you. "Turn key horse operation. 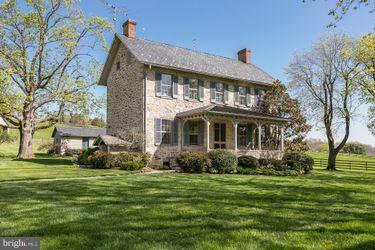 Restored circa 1802 stone home. St. Omer's farm is a very successful thoroughbred operation. 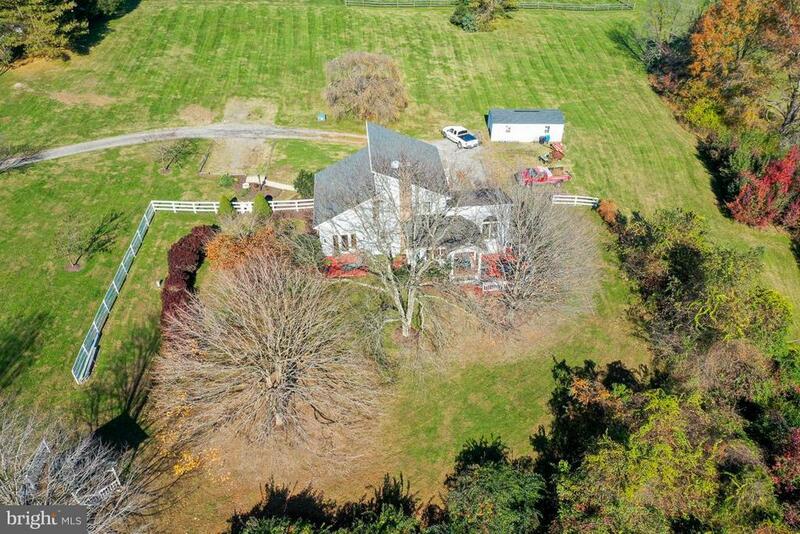 121 acres in conservation easement, 16 paddocks, 8 run-in sheds, newer 18 stall center aisle barn with office, bank barn with 22 stalls and tenant dwellings. Home includes a beautiful family room addition built in 1998 overlooking the valley. Updated kitchen, 4 fireplaces." "Stunningly Elegant Victorian Estate On 10 Private Acres. Home Boasts A Complete High End Renovation, Yet Maintains The Perfect Blend Of Original Character & Sophisticated Charm. 7 Bedrooms, 5 1/2 Baths Over 4 Levels including 2 Master Suites & Gourmet Kitchen. Picturesque Panoramic Views Of The Surrounding Countryside. Amenities Galore With In-Ground Pool, Pergola, Screened Porch & 3 Car Garage & Much More. Live In Peaceful Luxury!" 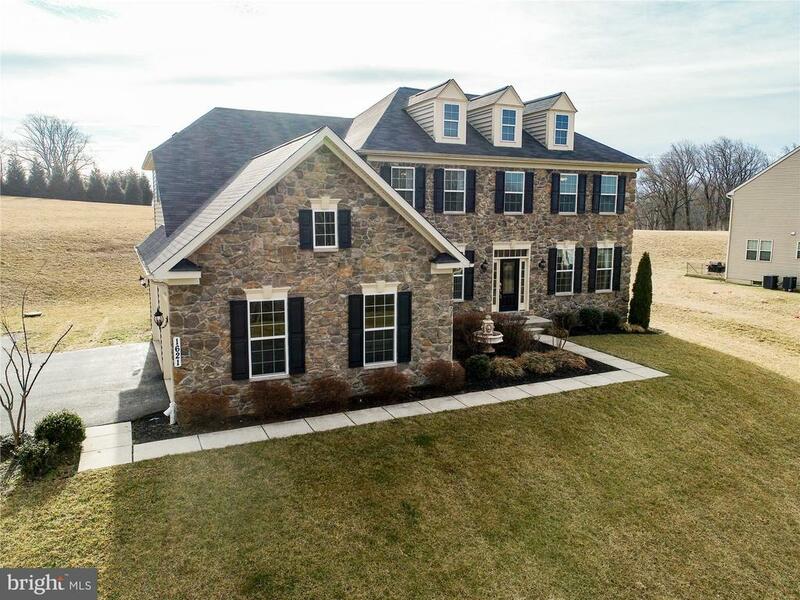 "Beautifully appointed brick front colonial with views of rolling countryside. Open floor plan offers over 6,000 square feet of living space featuring 2 story foyer, hardwood flooring in foyer, formal dining room & living room; gourmet kitchen made for entertaining with breakfast/table area, extra-large island, granite countertops, stainless steel appliances, double oven, gas cooktop, 2 spacious pantries, butlers pass thru and an abundance of cabinets; soaring 2 story family room just off kitchen with statement gas fireplace; private 1st floor study with French doors; dual staircases: front entrance staircase and kitchen stairs for convenience; 1st floor laundry/mudroom with utility sink; 9 foot ceilings; new carpet on 1st & 2nd floors.The second floor features master bedroom suite with an impressive massive walk-in closet and master bathroom with double vanities, separate shower and jetted tub; additional upper level bedrooms offer walk in closets.The finished lower level welcomes a 2nd family room/recreation area, 5th bedroom, media/exercise room, full bath, abundant storage, and walk-out to pool area. 3 zoned HVAC with new programmable Nest thermostats on each level for energy conservation and tankless water heater. The oversized 3 car garage features separate area for storage and extra-large paved driveway with space for over 6+ cars.Outside of this home is as impressive as the inside with Trex decking, screened-in porch, and access to fully fenced back yard or to pool area. Enjoy entertaining at the heated salt water in-ground pool and surround decking with beautiful countryside views.Horses and farm animals are WELCOMED! 40x60 Barn with electric and running water, 4 stalls, wash stall, tack room, storage area, muck pit, 4 pastures, and riding ring. All areas have 3 board fencing. Don~t miss this beautiful property with the neighborhood home and no HOA you always wanted!" "Wow! Custom built stucco and stone 4500 sq ft of finished living area on 5.35 acres. This home has everything for today's style of living. 2 Main level bedrooms with attached baths (Master and in-law or office). Large Family Room with new flooring, 10' coffer ceilings, stone fireplace with wood burning insert that is vented to upstairs 2nd Family Room. Gourmet kitchen with 42' custom maple cabinets, granite counters, stainless steel appliances, cook top, double wall ovens, breakfast bar. Table space and built in desk area, too. 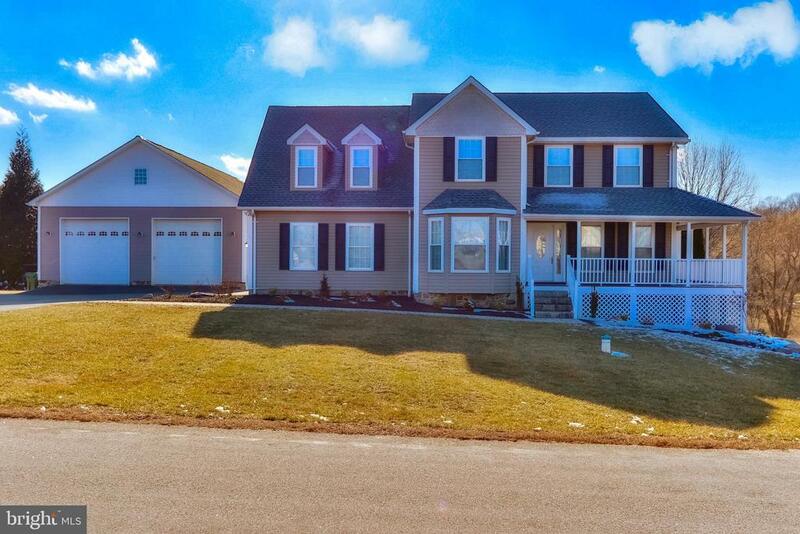 Upstairs boasts 4 bedrooms with all new carpet, 3 baths, family room and a bonus room. 2 bedrooms have attached baths. First floor laundry, oversized garage with additional parking spaces on driveway. Utility door added to back side of garage to make access from yard better. Sellers are having a paver stone patio installed in March (delayed by weather) to enjoy the backyard. Access to patio will be from over sized kitchen sliders." "600 feet of paved driveway leads you to this spectacular home! Quality materials & finishes throughout. Great Room with cathedral ceilings. Huge kitchen & nook. 12 ft prep island stainless steel appliances, Jenn air double oven and gas range with stainless vented range hood, 2 appliance garages, built in wine and dish rack. 2 master suites. Connected bath in bed #3. 2nd kitchen & bar in lower level with full bath and walk out to covered patio & built in fire pit. Backs to woods. Brick wrap around porch and sidewalks, brick covered patio attached to 44x30 detached garage with electric & insulated doors. 3 zoned heat & A/C with Pellet furnace back up. Guardian gas generator. 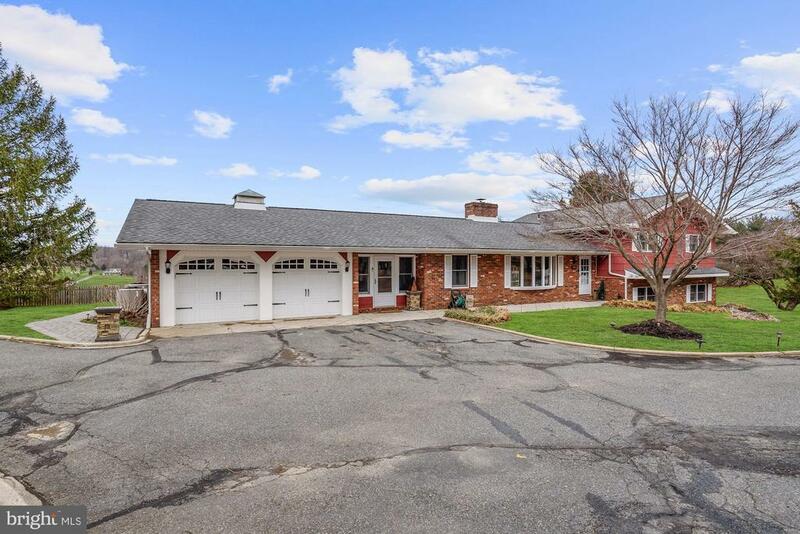 Huge oversized attached garage w/ auto openers. Oak Floors staircases & railings. 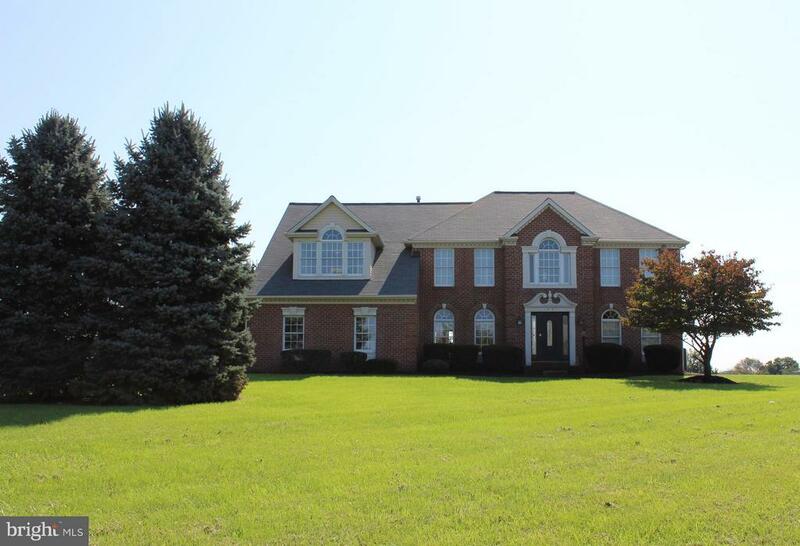 Crown, dental, chair rail, wainscoting, transom windows in great room, foyer & master bath. Built in surround sound in great room and family room. Double Vanities and separate showers in both masters. Claw foot tub in 1st floor master bath. 1st floor office or den. Recessed lights and ceiling fans through out. Tile back splash & Kitchen Floor. 1st floor laundry. Tile baths. 5 bedrooms. Walk in Closets. Pull down stairs. Stone wall and hardscape. You will be truly impressed once you see over 6,000 sq ft of living space!" "Motivated sellers. Stunning home from top to bottom. Warm rustic chic elements blend earthy tones with elegant sophistication. The foyer~2 story hardwood entry, stacked stone accent wall, hardwood stairs and upper hallway, wrought iron spindles, wood trim millwork and stone details throughout. Formal living, dining rooms and a private main level study with french doors. Fabulous family room with coffered ceiling, cozy gas fireplace is found just off the super sized kitchen. Amazing kitchen island, huge walk in pantry, double oven, gas cooktop, abundance of cabinet, storage and counter space. Beautiful backsplash, mudroom with cabinetry and a large laundry room w/utility sink. A fabulous morning room with a pine vaulted ceiling, stone accent wall, exit to patio and overlooks the gently rolling private rear yard. Fabulous master suite with sitting room, wet bar, fireplace, tray ceiling, his/hers walk in closets, gorgeous tile in the master bath, his/hers separate vanity, separate shower with seat, soaking tub, water closet, linen pantry and beautiful cabinetry. Nice junior bedroom sizes with one bedroom featuring a prince/princess ensuite bath for a total of 4 bedrooms and 3 baths on the upper level. The lower level features a fantastic recreation room, bar, fabulous stone accent wall, guest bedroom with a walk in closet, full bath and plenty of storage and closet space. Entertain at home in the amazing theater room. There is no shortage of space in this home with almost 6,000 square feet of living space. A handy 3 car garage and paved driveway space for 5+ cars. Richmond American's popular Heath model does not disappoint for its open flowing floorplan inside~Stone exterior and dormers add charm to the curb appeal of this fantastic home. Zoned HVAC, 1 year Home Warranty. Special Financing Incentives available on this property from SIRVA Mortgage." 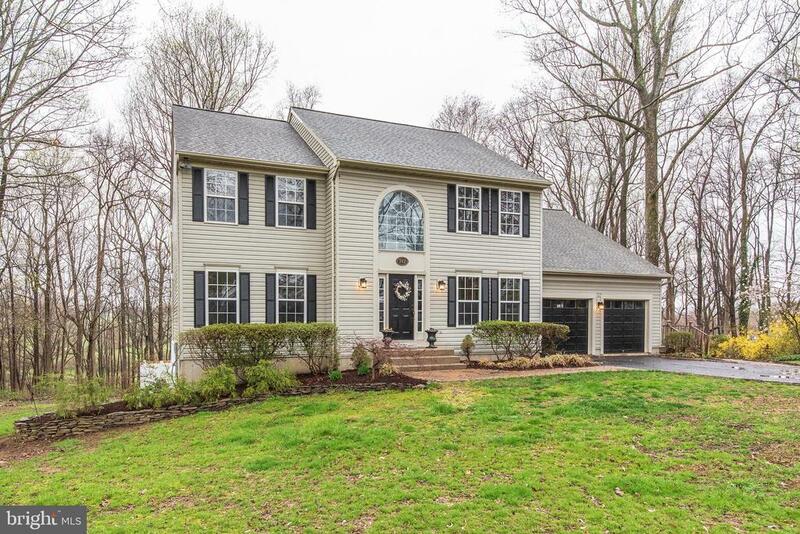 "Welcome home to this gorgeous 5 bedroom, 4.5 bathroom Colonial in Morning Brook. This home boasts Chesapeake Hickory Old Towne hardwood floors, 9ft+ ceilings, crown, chair & wainscoting, stainless steel appliances, and walk-in pantry. Master bedroom features his and her walk-in closets, crown molding, sitting room and en suite bath including double vanities, water closet and corner garden tub. Exterior features include attached, 3 car garage, portico with brick porch, trex deck, paver patio and professionally landscaped. Rolling back yard backs to woods. Schedule a showing and call it Home today!" "Stunning 6,700+ square foot, brick-front colonial nestled on large 1.4+ acre, tree-lined lot in sought-after Colvard Manor! Loaded with luxury amenities - you'll love the 5-car attached garages, gleaming hardwood floors throughout the spacious open floor-plan, crown moldings, cathedral/tray ceilings, recessed lighting, and more! Enter into gorgeous 2-story foyer open to formal dining and living rooms. Continue to the bright solarium, the classic office/study with rich wainscoting, or into the gourmet kitchen featuring huge island, breakfast bar, double wall ovens, walk-in pantry, and stainless steel appliances. Kitchen opens to the sunny breakfast room with door to rear no-maintenance deck perfect for summer BBQ's. Relax in the adjoining 2-story family room with cozy gas fireplace! Upstairs you'll find everything you could need with spacious master suite boasting sitting area, tray ceiling, 2 walk-in closets, and huge master bathroom with tile flooring, large soaker tub, double vanity, and water closet. There's also a 2nd master bedroom featuring vaulted ceiling, walk-in closet, and full bath. Additional 2 bedrooms are served by a large jack-and-jill bathroom with double vanity. Massive custom addition down the hall features a bonus 5th bedroom/potential in-law suite (or whatever you desire) with private full bathroom, separate entrance from garage below, and wood-burning stove! Wait there's more! Finished lower level recreation room adds bonus living space with unlimited possibilities. Featuring full-sized windows, a huge unfinished space for storage or future bedrooms/bathrooms, and walk-out to rear paver patio, storage shed under deck, and gardens! You can't beat this rolling green backyard lined with trees with room to play or relax. * SELLERS ARE MOTIVATED - WILLING TO WORK WITH SERIOUS BUYERS! * Make this house your home today!" "Beautiful Home! with over 6,500sq Ft of living space*Backs to trees* large in-law apt added in 2017w/full kitchen and washer/dryer! New maintenance free deck*New Gas on Glass cooktop*2 story familyroom w/stone fire place*Great Room*Stainless steel appliances*Tile floor, hardwoods & granite countertops*Three full baths on upper level*3 bay garage*House wired for generator*Blower in gas f/p." "GORGEOUS home completely renovated/ remodeled in 2017, including new roof, shutters, insulated energy efficient windows, insulated interior doors, carpet, paint, flooring, and all new energy star appliances. In absolutely pristine condition, this home offers an open floor plan, with wood flooring, crown, and decorative molding throughout. The kitchen has ample counter space with granite countertops, all stainless steel energy star appliances, a huge island, with breakfast bar, high end pendant lighting, dining area with chandelier, and fireplace. Spacious family room, and an additional front room which can be utilized as a separate formal dining room, or den. The second floor offers four large bedrooms, all with walk in closets, or large step in closets. The master bath has a double vanity sink with quartz countertop, jacuzzi soaking tub, and dual head walk in shower. There is an second full bath upstairs, and the fourth bedroom has it's own master bath. Downstairs is a large, unfinished basement with sliding glass doors leading the backyard. The backyard has a large trek deck, perfect for grilling and entertaining. Attached two car garage, and an additional detached heated garage 1.5 stories tall, measuring 42' x 62' with two bay doors, and attic/loft area. Garage contains a 10,000lb 2 post auto lift as well. Additional storage area to the back of the garage that can only be accessed from the outside. Home has two 1,000 lb propane tanks that supply the home and detached garage. Although the basement is unfinished, please note that studs are in place, electric is ran, and the plumbing rough in for a full bath is already in place, so it wouldn't take much to completely finish the space. Seller is motivated, and considering all offers..."
"GORGEOUS 4 BR 3.5 BA COL SIT. ON 1+ AC IN MAXA MEADOWS! AMENITIES GALORE - 2 STRY FOYER, LR, DR, MAIN LVL OFC, 2 STRY FR W/GAS FP. KITCHEN W/ BREAKFAST ROOM &ISLAND & SS APPLS! DECK W/2 PATIOS, GAZEBO & HOT TUB! MBR SUITE W/SITTING RM & SPA BATH! JACK N JILL BATH & ADDTL PRIVATE BATH IN BR 2! LL REC RM & PLENTY OF STORAGE SPACE. UPDATES INCL. DUAL HVAC'S '17, HWH '14, WELL PUMP '17 METICULOUS!" "Farmette offering country living with story-book charm and amazing views, centrally located in the heart of Forest Hill near shopping, entertainment, Rt. 1 and more. Located on 11+ serene acres zoned Agricultural, this split level home boasts 4 bedrooms, including a master bedroom with bath, 3 finished levels with spacious lower level family room with new pellet stove, beautiful wood floors, huge bright sunroom used year-round by owners, large open country kitchen with another new pellet stove and room for large table, separate formal dining room, formal living room, 2 car attached garage with circular driveway and huge barn with wood burning stove and loft, private in-ground pool, 2 patios, a shed and so much more. This home is great for entertaining. Don~t miss out. Call today for more info." "Pride of Ownership is apparent in this spacious home with quality updates. Beautifully refinished hardwood flooring greets you in the 2 story foyer with arched entries into the formal rooms. The hardwoods continue through the spacious hallway highlighting the open floor plan. Appropriately located in the center of the home is the impressive Kenwood Kitchen. 42 Heartwood Maple Cabinetry accented by gorgeous granite and tile backsplash with under cabinet lighting. A large center island offers incredible storage. Top of line stainless steel appliances continue the quality in this gourmet kitchen. Sun-drenched breakfast room opens to the sun room with a sliding glass door to the maintenance free deck. Enjoy your morning coffee or end your day taking in the wooded view. Also open to the kitchen is the 2 story family room. Soaring ceiling with a wall of window framing the gas fireplace make this the perfect spot for family time or entertaining. Completing the main level is a 14'x11' study. This flexible space lends itself to a home office or playroom. Staircase with a palladium window at the landing leads to the upper level. The wide hallways continue with overlooks to the foyer and family room. Expansive Owners' suite boasts cathedral ceiling, sitting room, 2 walk-in closets and luxurious spa bath with furniture grade vanity. Three additional generously sized bedrooms, updated hall bath and convenient laundry room complete the upper level. Additional living space in the lower level with incredible storage. Full size windows and a sliding door to the yard make this great additional living space- potential for home gym, media room, in-law quarters! Private backyard in a sought after no through neighborhood are the perfect setting for your new home!" "This beautiful 3000+ sq ft home has been remodeled top to bottom Offering 5 Large Bedroom 4.5 baths, garage and more than 1.5 acres of land. You will be awe inspired from the moment you enter the front door. Offering modern fixtures, large open floor plan, and plenty of room to boast. 3 bedrooms have their own full bath (including a large first floor in law suite). 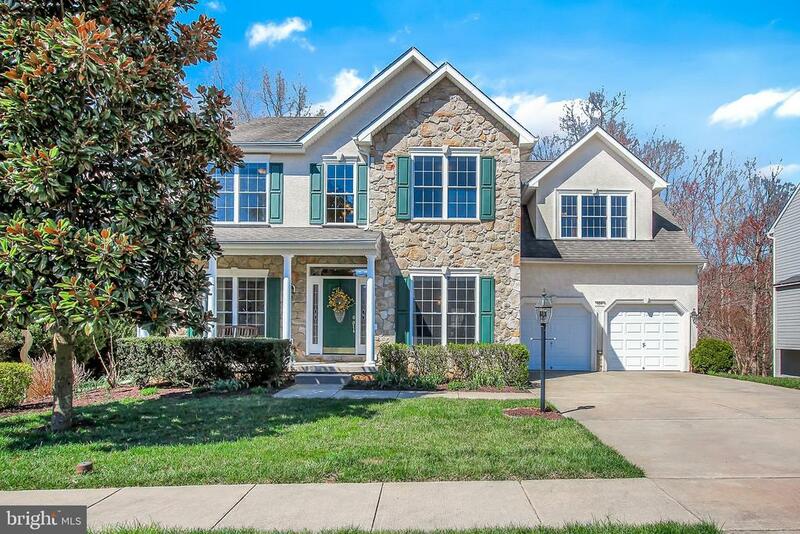 Nestled in a mature and established community of Forest Hill in the North Harford Middle and High School District. Additional photos to be uploaded soon"
"Stunning Custom-Built Edwards 4 Bedroom, 2.5 Bath Full Front Porch Colonial on landscaped and manicured 1.14 acres in much desired Pleasant View Farms. This Outstanding Home features Hardwood on most of 1st level. Formal Living Room and Dining Room with Custom Moldings. Many architectural details on 1st & 2nd level. Lovely Remodeled Upgraded Eat-In Kitchen with Granite Countertops and Large Island and Slider to Covered 12x24 Deck overlooking landscaped backyard. Spacious Family Room with French Doors, Custom Built-In Bookcases, Brick Hearth with Pellet Stove. Large 1st Floor Laundry/Mudroom off Garage w/New Washer & Dryer. Master Bedroom with Super Bath (Separate Jetted Soaking Tub & Shower) and Walk In Closet. Other Bedrooms are very generous in size. Recent Updates include; Architectural Roof, Heat/CAC, Hot Water Heater, Windows, Driveway & more. Just Move In and Call Yourself at Home!" 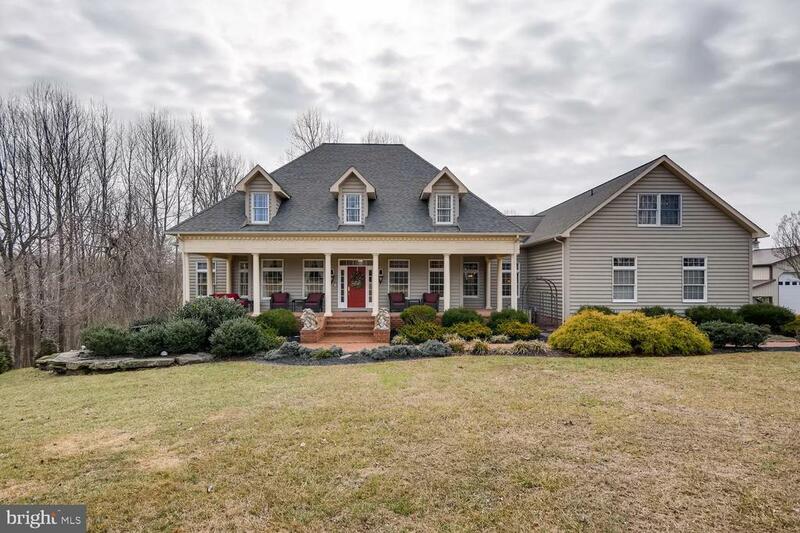 "Large single family home on 2+ acres with attached 2 car garage.1st fl has Eat-in kitchen with breakfast area and bar, plus DR, sitting room, office and half bath. 2nd fl MBR, with full bath, and attached sitting room. 3 additional large BRs on 2nd floor with family room overlook . Unfinished Basement with lots of storage space, and rear exit. Huge back yard, and rear deck for entertaining." "The Nottingham is just one of the plans that can be built in the new community of Forest Knoll. Close to schools, dining, shopping, entertainment and just minutes from Route 1 and I-95. Other plans including first floor master, ranch and two story plans are also available for build. Price shown includes all applicable incentives when using a Keystone Custom Homes preferred lender." "Wow...If you want privacy, this is your New Home! 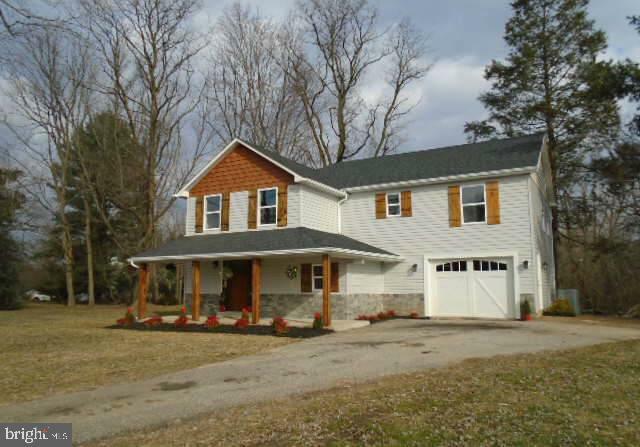 Beautiful secluded setting backing to trees/stream with gorgeous views. 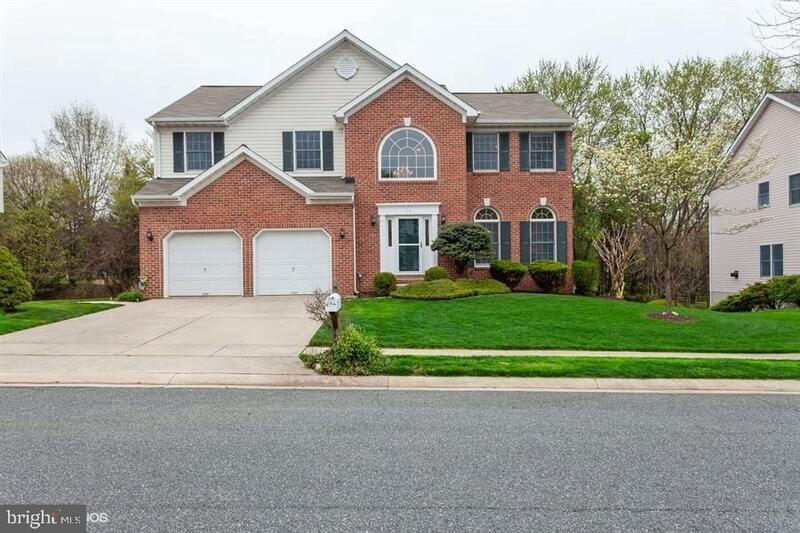 Fresh paint & carpet; Brand new Roof with warranty; Huge kitchen with Island & New Appliances; Beautiful Family Room with Fireplace and Cathedral Ceiling; 4 Bedrooms upstairs; Master w/ Large Private Bath + Addl Bedroom with Private Bath; Fully Finished Lower Level with TWO Slider Doors & Bar. You won't want to miss this house!" "Rural country side and SCENIC VIEWS galore! Perfect for entertaining or just easy living.Be sure to schedule a private showing TODAY before it's too late!This beautiful CUSTOM BUILT HOME boasts an unlimited amount of updated amenities:* WINDOWS AND LIGHT IN EVERY SPACE GIVING UNOBSTRUCTED VIEWS OF RURAL COUNTRY SIDE* SCENIC OPEN DOUBLE LOT* PARTIAL FENCED AREA* 10 MIN DRIVE TO BEL AIR* 3 of the 4 BEDROOMS WITH ATTACHED BATHS* CEDAR PLANK CEILING IN FAMILY ROOM* STACKED STONE FIRE SURROUND* BUILT IN CABINETRY* CATHEDRAL CEILINGS* MULTIPLE LEVEL DECKS (including deck off the master bedroom)* LARGE WHIRLPOOL TUB* FRESHLY PAINTED* OPEN CENTRALIZED KITCHEN WITH ATTACHED BREAKFAST ROOM* WOOD MADE CABINETRY * STAINLESS APPLIANCES: GAS RANGE, NEW STAINLESS MICRO HOOD* HOT WATER RADIANT HEATED FLOORS* BUDRUS LOGANA OIL FURNACE* 2-250 GAL OIL TANKS (Both tanks will usually take me to March)* PELLET STOVE (supplements heat with 1 1/2 tons per season) * ROOF MOUNTED HOUSE FAN* PROPANE HOT WATER TANK AND GAS RANGE* Flooring: CERAMIC, SLATE, HARDWOOD, AND CARPET above grade. Immersible vinyl plank below grade* Doors & windows: CUSTOM PELLA, ANDERSON, and PEACHTREE DOORS* ~SUPERIOR FOUNDATION~ WALL SYSTEM* 2 X 6 EXTERIOR WALLS- R19* 2 X10 CEILINGS- R30* ATTIC storage areas with pull down stairs Make an appointment TODAY!" 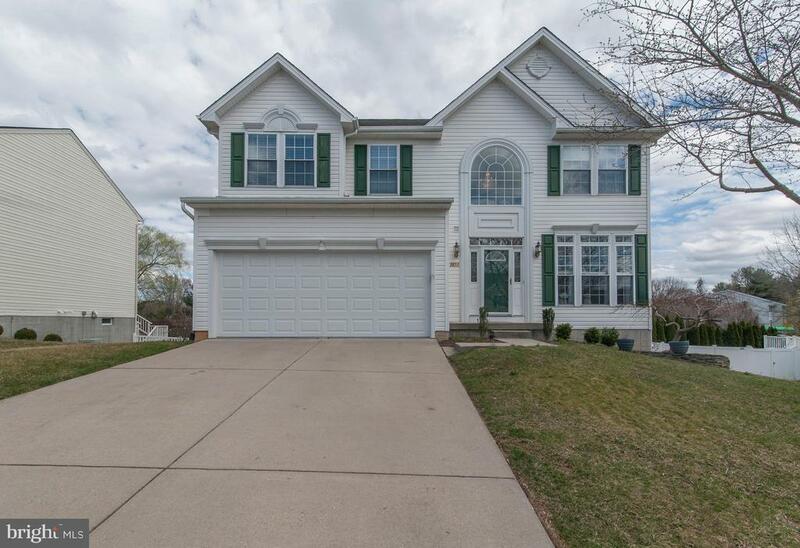 "Lovely 5 bedroom, 3.5 bath Colonial in a park like setting. Freshly painted throughout. Two story foyer at entrance. Tile and granite in the kitchen. Breakfast nook with bump out. Living room with gas fireplace. The spacious master bedroom includes a seating area, large walk in closet, and super bath with Jacuzzi tub and toilet room. The lower level includes a full bath and bedroom with potential for in law suite. Outdoor space boasts a large deck, three brick patios, fish pond, and electric fence. The yard backs to Friends Park and Ma & Pa Trail." 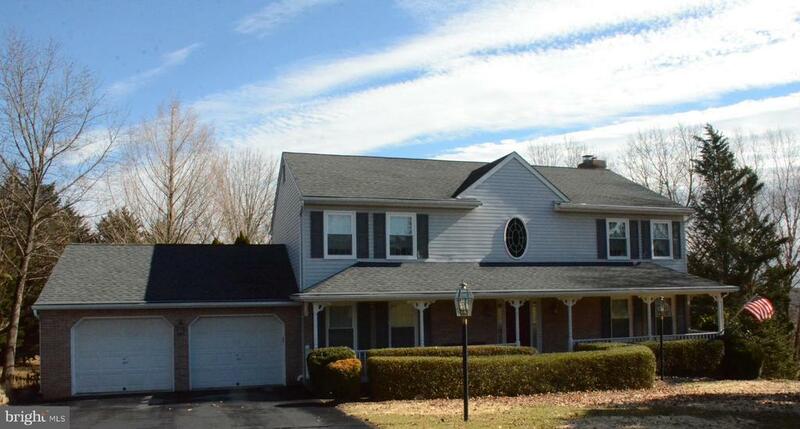 "Great 4 Bedroom, 3 1/2 bath Colonial in Spenceola Farms. 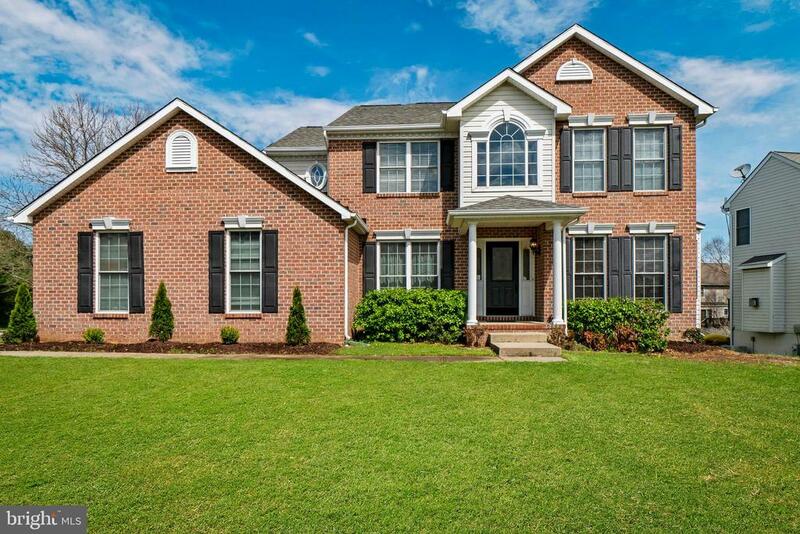 This beautiful home offers brick front, side entry garage, and a great back yard. The master suite offers a large master bath with granite double vanity, modern glass shower, and jacuzzi tub, and a large walk in closet off the master bedroom. Fully finished lower level with full bar and bonus room. The main level offers a family room off of the kitchen with a gas fireplace, office, laundry room and separate dinning room. Granite countertops and many upgrades including updated hardware and lighting throughout. Rare corner lot." "Don't wait, run! 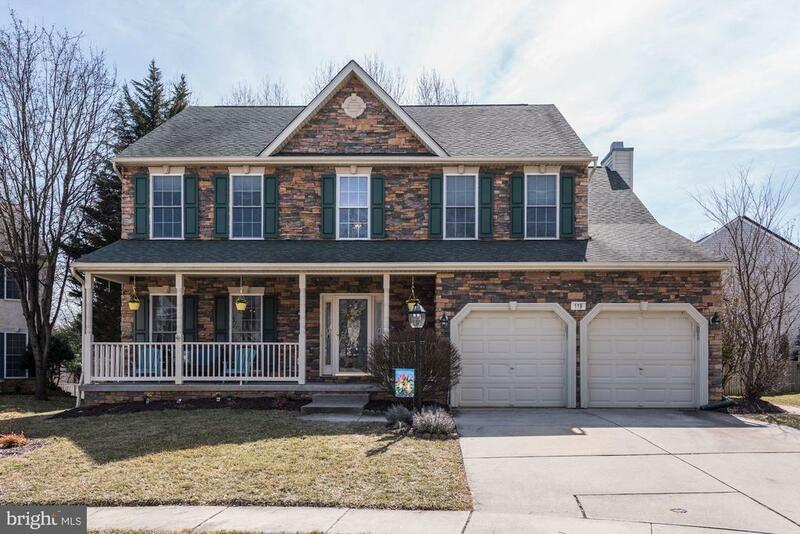 Wait until you see this gorgeous well maintained colonial in the sought after community of The Woods At Forest Glen, centrally located near shopping, dining, entertainment, the Ma and Pa trail, and more. This beautiful home offers 4 spacious bedrooms, 2 full baths and 2 half baths, including a master suite with master bath, soaking tub and separate shower, eat-in kitchen with large center island, family room with stone fireplace, Finished lower level with bar for entertaining, and main level laundry room. Updates include new carpeting, vinyl plank flooring in the kitchen and laundry room, as well as freshly painted. Enjoy the paved patio, large backyard, and great front porch. Zoned Bel Air schools. Don~t~ miss out. Call today for more information." "Unique layout to this neighborhood! Plenty of room to stretch out with nearly 4,500 sq ft of living space w/ ***In-Law Potential*** This home offers..... 2 story foyer, Large dining/living room combo, Cozy family room w/ gas fireplace, Eat in kitchen -newly updated SS appliances -center island w/gas cooktop -wall oven -built-in wine fridge -1st floor laundry & convenient back staircase to upper level, Master bedroom w/vaulted ceilings -dual closets & large bath, Spacious bedroom sizes, Huge fully finished lower level includes possible in-law suite w/ kitchenette -5th bedroom -large rec room -half bath (rough-in for shower) & walk out. Durable Anderson windows. Roof replaced 2015. Central vac. Fam room slider replaced 2018. Home sits on a corner lot with great maintenance free deck which overlooks community walking trail. Community pool is included in a very reasonable HOA fee! ***In-Law Potential***"
"Welcome to your new home in Forest Lakes. This Home features 4 Bedrooms 2.5 baths and so much more...Walk into the bright and spacious foyer to an open floor plan. Hardwood floors and carpet on the first level. Recently updated kitchen with granite counter tops that overlook the family room. Cathedral ceilings in your large master bedroom with on suite master bath and walk in closet. Trex deck for grilling and entertaining. Nice flat yard with a fence. This house is move in ready."